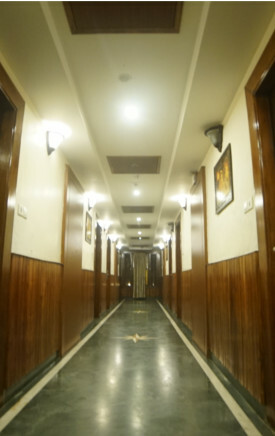 An Ideal destination for corporates and families in the temple city of Bhubaneswar. This Hotel is situated in the city's prime Location at IRC village,Nayapally on NH5 and near Nabard Bank. 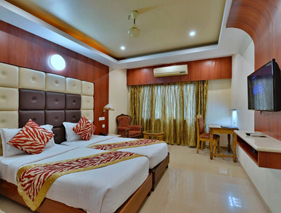 This 3 star hotel in Bhubaneswar offers you one of the best accomodation with 43 well appointed Ait Conditioned rooms providing luxury and comforts perfect for business trips and families. The Hotel is 5 k.m from Railway Station and 6 k.m from airport. Relax & Enjoy yourself with us. 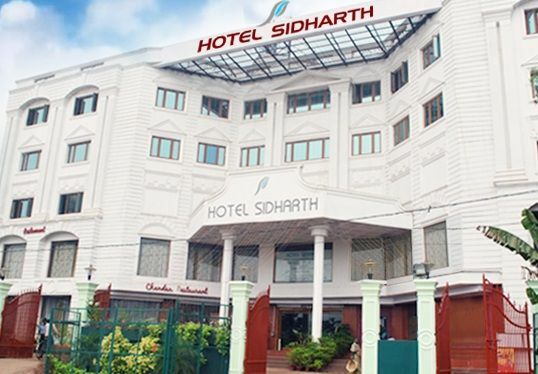 Hotel Sidharth, one of the best Accommodation in Bhubaneswar, is located at IRC village, Nayapally. Tribal Museum (Approx. 2km) and Masjid e Aulia (Approx. 4km) are places of popular tourist attraction near the hotel. Tribal Museum offers a classic collection of arts and artefacts featuring the culture of Odisha. The museum houses tribal artefacts including dresses and ornaments, dhokra items, dances and musical instruments, hunting and fishing tools and weapons in its spacious five halls. Guests must visit Indira Gandhi Park, Ram Mandir and Nandankanan Zoo during a trip to Bhubaneswar. This Luxurious Accommodation hotel in Bhubaneswar offers personalized services to all the guests to make the stay convenient. The basic amenities include internet, 24-hour room service, travel desk, front desk, security and doctor-on-call. The banquet facilities take care of guests social events.Corporate guests are ensured with business centre to conduct conferences and events smoothly. The hotel also has a gym ensuring guests do not miss on their daily workout regime. The in-house restaurant 'Chandan' serves Indian, Chinese and Tandoor specialities which can be indulged by the guests during their stay. So, go for this Hotels near Bhubaneswar Airport and enjoy one of your best stay. It is the first and foremost service that we provide to our customers. Neat and clean rooms with a ultra-luxurious atmosphere makes it a viable option for visitors. The best service provided by our hotel is one of the most appealing endeavors of our hotel. 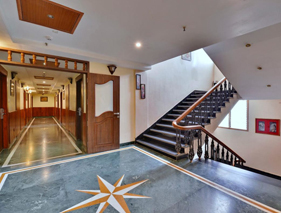 The reason why hotel Sidharth stands out is because of the location where it is situated. A close proximity to airport, railway station, bus stand makes it a favorable choice for visitors.